WELLINGTON, New Zealand - Mail will soon be delivered to suburban New Zealand homes just three days a week as the country's postal service responds to the rise of smartphones and the decline of letters. On Wednesday, the government agreed to a steep reduction in the six day a week service from 2015 following lobbying from New Zealand Post. The company said reduced delivery days will result in significant job losses. The move could foreshadow similar changes in other developed nations as businesses and residents increasingly move online to communicate and pay bills. From June 2015, New Zealand Post will be required to deliver mail just three days a week in urban areas and five days a week in rural areas. About 12 per cent of customers live in rural areas. "Thirty years ago there were just telephones and letters. Then came faxes, emails, and smartphones, and they all allow people to bypass our network," said Brian Roche, chief executive of New Zealand Post. "People just don't look at their letterbox anymore as their principal form of communication." Roche said mail delivery is barely breaking even and would begin losing money if not for the cutbacks, which he hopes will enable the service to remain viable for years to come. He said customers wanting daily mail deliveries will be able to sign up for a new courier-type service — at a premium. 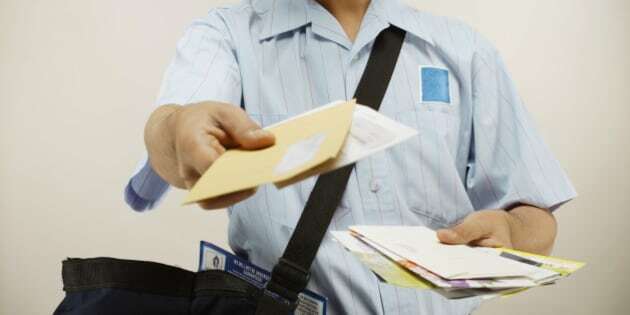 He said the changes will result in significant job losses among the country's 2,000 or so postal delivery workers. Mail volumes in the nation of 4.5 million people have dropped by a quarter in the last decade and the decline appears to be accelerating. "Around the world postal volumes are declining," said Communications Minister Amy Adams. "In New Zealand, this is at a rate of about 8 per cent per annum." In the U.S., the Postal Service has struggled for years with declining mail volumes. The service has tried to end its Saturday mail delivery but has been met with resistance from federal lawmakers. In a contentious move in Britain, the coalition government this month privatized the country's 500-year-old Royal Mail. It promised six days a week service would continue.